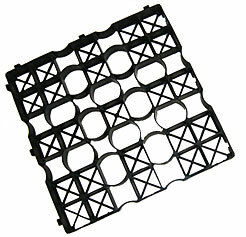 Manufactured from 100% recycled plastic. Resistant to frost and UV. 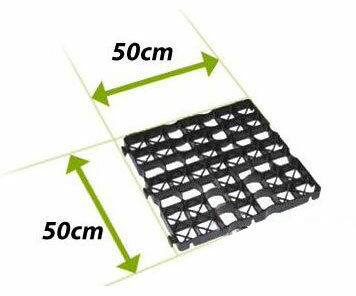 Resistant to high and low temperatures (-30 to 85 ° C). Available Green or black color. 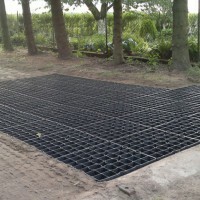 Drains to water table, relieving pressure on sewer systems. 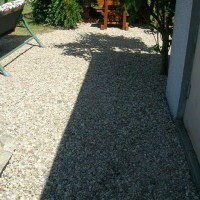 Cells can be filled with stone, or soil and seeded to achieve a grassed finish. 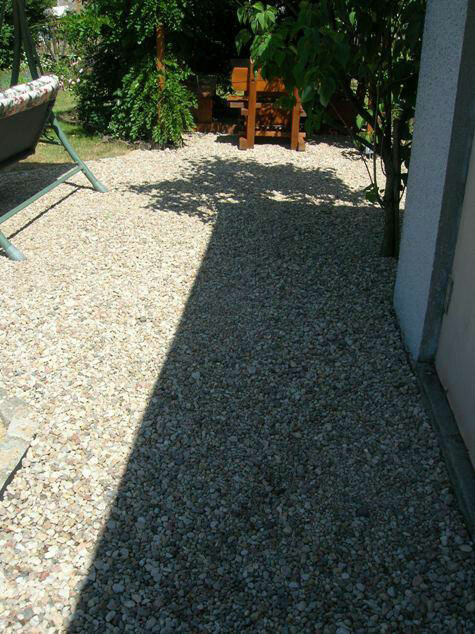 Very high open area at surface (90%-96% dependent on grid selected) to maximize aesthetic appeal of stone or grass. Lightweight and easy to handle (unlike concrete units). 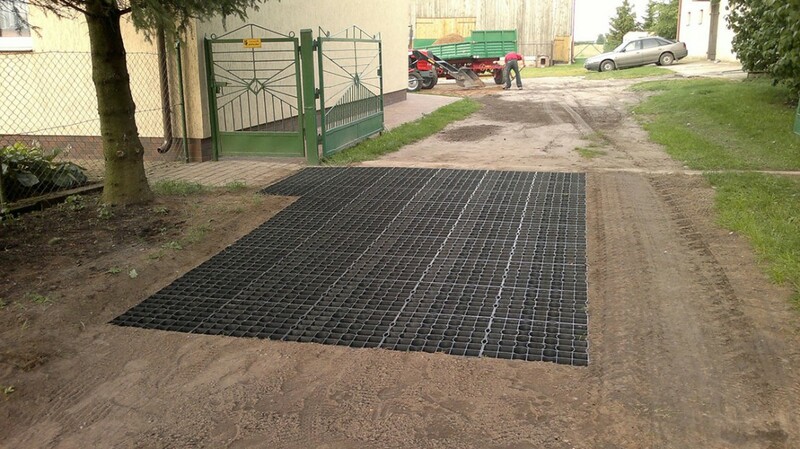 Grids palletised in layers of 4 no. preconnected units to maximise installation speed (up to 100m² per person per hour). NEW unique design and robust interlocking lugs and slots; the backside has additional cross shaped reinforcements. 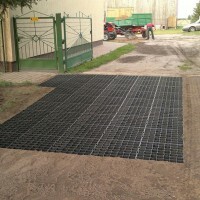 Patented interlocking system eliminates need to pin grids together. Easily cut with hand or power saw. 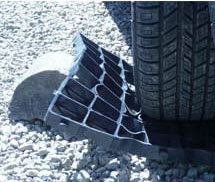 Neutral for the environment, durability: over 10 years. 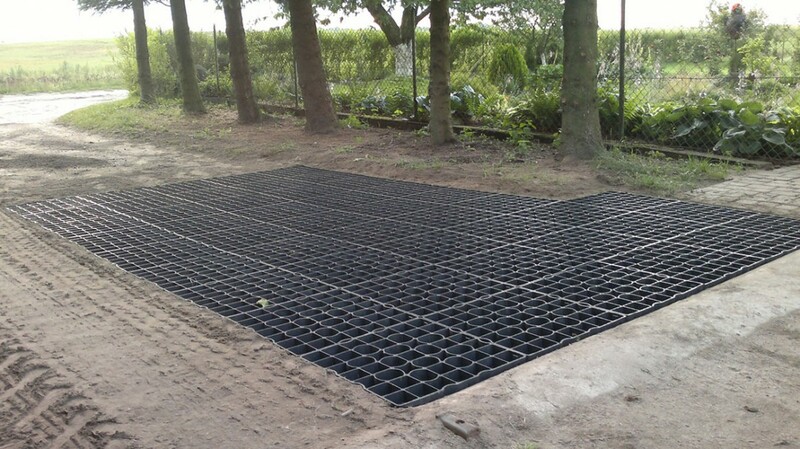 Allowed for car parks, parking for trucks, driveways, footpaths and walkways, road extensions, emergency access routes, storage areas, external areas, external works and civil engineering together with ground strengthening and reinforcement for landscaping. Allowed for emergency fire access routes. 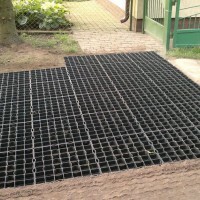 Gratings manufactured in the European Union. 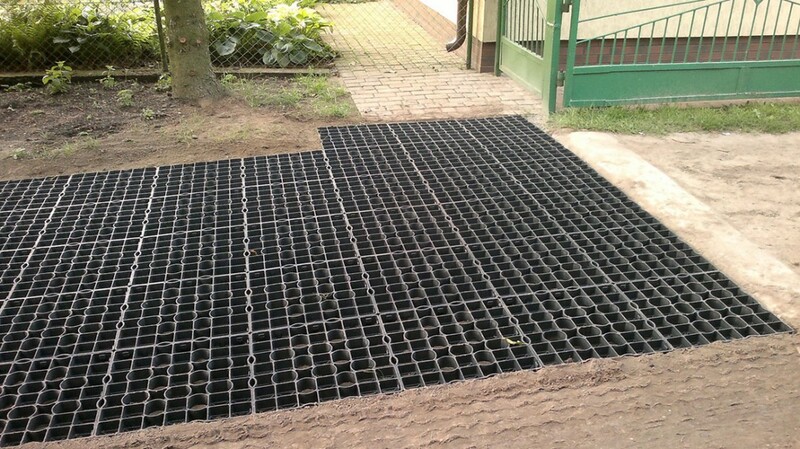 Gratings have - National Institute of Hygiene, Research Institute of Roads and Bridges in Warsaw and Asphalt Institute in Berlin certifications. INOVGREEN IG50: 50 cm x 50 cm x 5 cm. 49 eyes 7 x 7 cm in a single grid. The inner wall 0,3 cm. 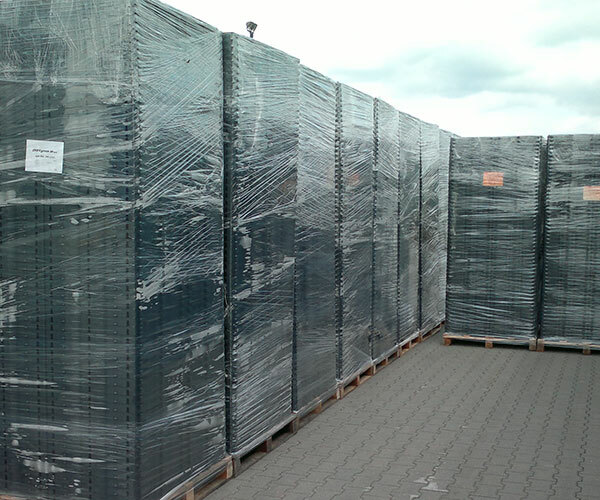 Pallet size: L 103 x P 103 x H 255 cm.